We have spots available on some of our WAITING lISTS FOR Summer but they are filling up, do not wait to get on an upcoming litter. ​We are now also starting to fill our end of the year litters. Contact us to get on one of these waiting lists. We Do NOT sell puppies to any Breeders! Before sending in your Application and Deposit! 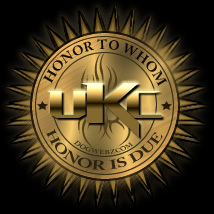 You Must Contact us by Email First! 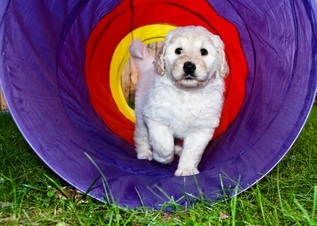 Please See Our NEW "Next Step for a Puppy" Page on the Left or Click Here. 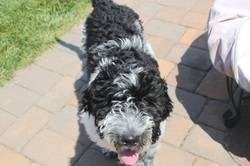 Home of Quality Bred Goldendoodle, Irishdoodles, Bernedoodle, and Gordondoodle Puppies of all colors and patterns. 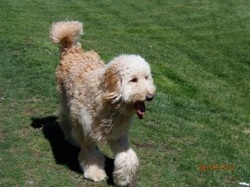 ​We have just been told that we also Won the Top Doodle Breeder in the US by Vetary. 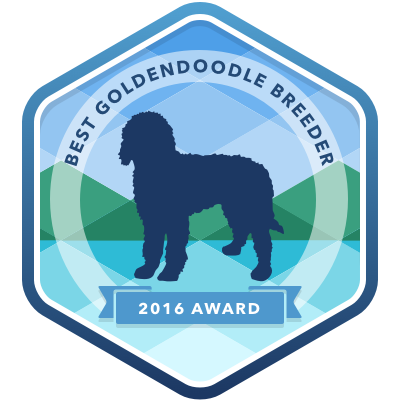 This is a huge Honor to win several years in a row for being the Top Doodle Breeders in the US. 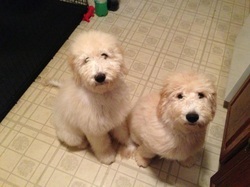 On behalf of Vetary.com, I want to congratulate you on the Best Goldendoodle Breeder Award. 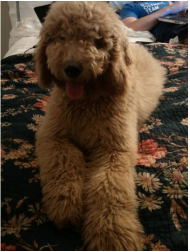 Vetary has analyzed top goldendoodle breeders and Your site and breeding program was a clear winner with U.S. pet owners over the last 12 months. For context, Vetary awards breeders with best-in-class, online buzz, content, visuals, and most importantly, a strong cause and devotion toward their breed of dogs. Congratulations again on being our Top Goldendoodle in the US choice. 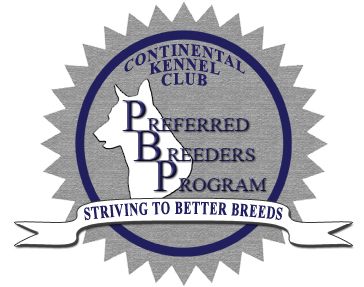 BRP's Cookbook Press Release. . . .
Briar Ridge Puppies Featured in the September 2013 Newsletter from the Continental Kennel Club as a Preferred Breeder! Click on Picture below to read the article on bottom of page 2. 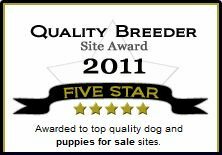 We pride ourselves in developing quality allergy friendly breeds, so every family can enjoy the love and happiness a dog brings to your life. Because Every child should have a dog! _We are trying to STOP the Puppy Mills and Backyard Breeders by Educating buyers. Please do your homework and pick a Good Breeder! Request to meet BOTH parents and see where they live when you Pick Up your puppy. Dogs and Puppies raised in a GOOD home environment, with the PROPER training are much more calm and social animals that will adapt to life's changes. You will have your next family member for many years, take the time to pick the right Breeder. Do your part to STOP the Puppy Mills and Backyard Breeders! If you buy a puppy from them, then you help them to stay in business!!! PLEASE Don't be part of the problem! ​A cheap puppy now could cost your a small fortune later. Quality does count when finding your next furry family member! Also Join our BRP Family, Facebook Group Page by Clicking on the Picture Below and then Send a request to Join the Group! Free Microchip Registry, be sure your pet will be returned safely if lost. Click on link below to register your pet's microchip now. All the Photos of our Dogs and Puppies are Owned by Briar Ridge Puppies, LLC. You must have written permission to use any of our pictures in any way, as they are all digitally copyright protected. 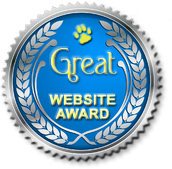 _Our Awards received for our Breeding Program and Website. 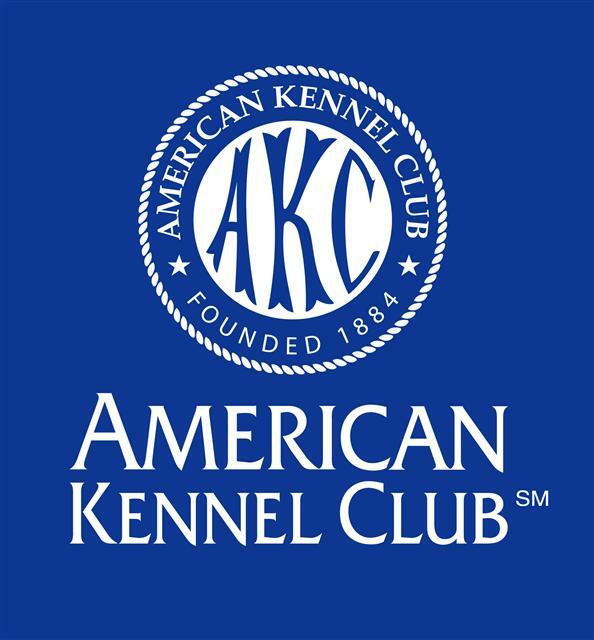 Kennel Clubs we are affiliated with . .